"Right as Judge Greg Mathis handed his daughter, Camara, over to Ryan Webb at the altar, the justice-seeking television personality leaned over and said something intended solely for his future son-in-law. 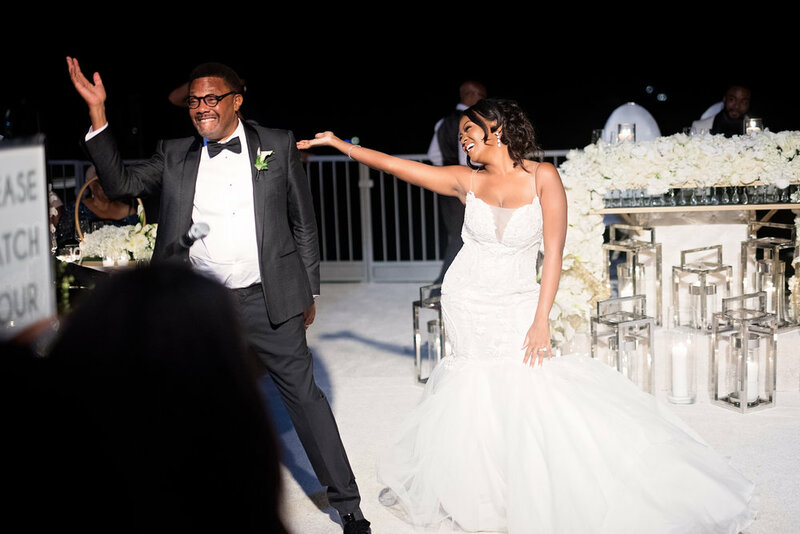 'I had a word for him as I was handing her to him, and no one will ever know what it is that I said,' Judge Mathis tells The Knot in an exclusive interview. Jokingly, he adds, 'And I threatened him not to tell.' " as seen on The Knot Exclusive. The conversation may still be top secret but the wedding of Camara and Ryan Webb is not. We are so beyond excited to be able to share more of their amazing wedding with y'all today as it was an event we were so honored to take part in. Our good friend, Diann Valentine, was the couple's wedding planner and let us tell you... she did a fabulous job as the wedding was spectacular. 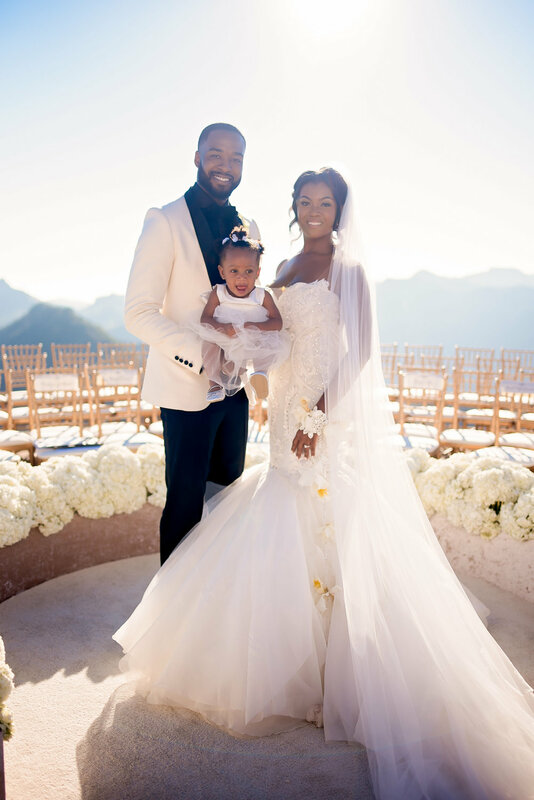 With a view overlooking the Southern California horizons, Camara and Ryan said their thoughtful vows in one of the most beautiful settings, at Malibu Rocky Oaks. If you are looking for wedding venues in the SoCal region, we highly suggest this stunning venue. Not only was the ceremony perfect but the creative team behind this event blew it out of the park. With rentals from the world-renown rental company, Revelry Event Designers, catering from Très L.A., and Diann working closely with the bride to coordinate... it was a dream come true! 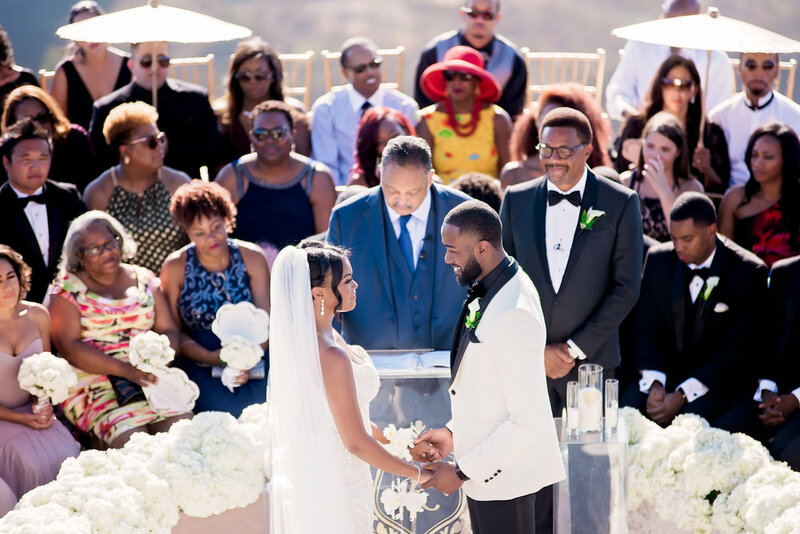 With out further a due, we share with you the dream wedding of Camara and Ryan Webb.